Cottrell Key was named after a 19th century Captain who protected passing vessels from grounding on this Florida Keys coral reef. Instead of a lighthouse shining it's warning beacon, he watched over all passersby with his lightship. These islands are located on the Gulf side of Key West FL, which makes the area much calmer. When the Atlantic is rough, this is the perfect place to head out for a day of fun snorkeling or scuba diving Key West. It's also easy to reach this beautiful, laid back mangrove island. From Key West you travel the Northwest Passage which is the route that takes you out to the Marquesas Keys Atoll for Florida Keys diving, snorkeling or fishing. You'll need the right snorkeling equipment for this trip or any other, so here's a selection of various snorkeling gear you'll want to look at. Whether you're buying snorkel gear for the first time, or are wanting to update, replace or add to your snorkeling equipment, you'll find what you want here at Amazon. You can also use the included search box below these products, to fine tune your browsing for these or other items you're looking for. This set of islands however are much closer than the Marquesas Keys, so they're the perfect short diving trip for anyone wanting a relaxing day exploring these pristine waters. Of course while you're here, you'll be able to enjoy some of the more unusual marine life that's not typically seen elsewhere. This area in particular, has a good variety of conchs and they're always fun to discover. 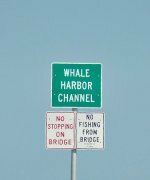 This area is also located in the Key West National Wildlife Refuge so after you've experienced the unusual marine life snorkeling or reef diving, you can head out to the different islands in the Refuge. Just don't forget to bring your binoculars and camera so you can study or photograph for the over 250 species of birds that inhabit this protected area. 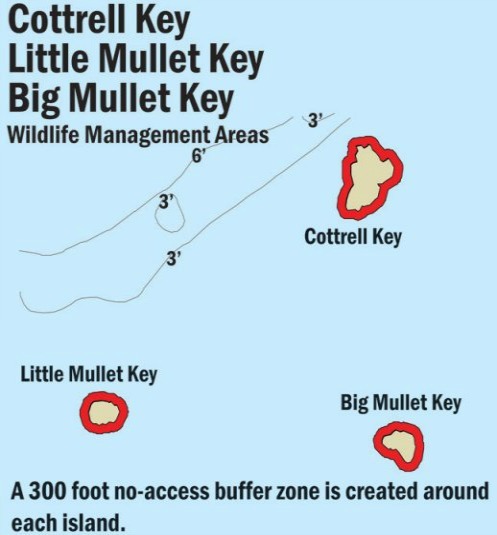 The area also includes two other islands, Big Mullett Key and Little Mullet Key. On these islands you'll also find mangrove terrapin as well as a variety of wading birds such as egret, heron and roseate spoonbill. Good Key West snorkeling spot as it's calm and protected. There's also more unusual marine life than what is seen elsewhere, such as the Florida horse conch, and the spotted tulip snail. Spending some time at these Keys is a great way to pass the day. Plus, in terms of Florida Keys dive sites, this is also a good last spot for reef diving if you've been out at the Marquesas Keys diving or snorkeling. Sometimes it's hard to resist the urge to get 'wet' one last time before putting those flippers to bed. If that's the case, this is the place to be.